After releasing “Young And Doomed” last evening, the music video is finally here. 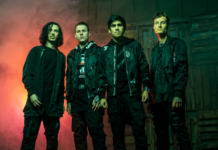 In addition to releasing the new music video for Barriers’ debut song, “Young And Doomed,” Frank Iero And The Future Violents recently announced a headlining East Coast tour. You can check out the full list of dates below. 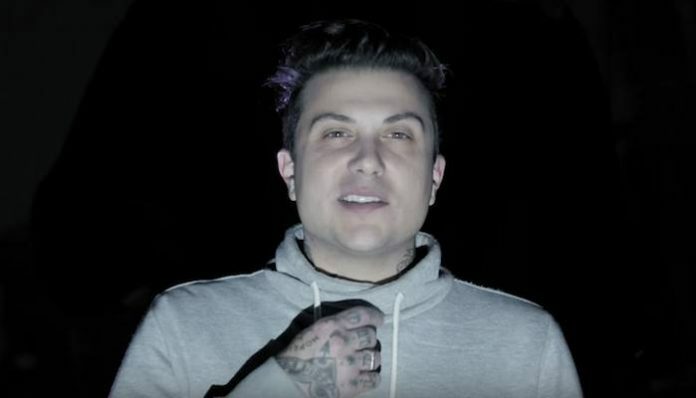 Just after releasing the song on all streaming platforms last night, Frank Iero And the Future Violents have unleashed their brand-new music video for “Young And Doomed.” The song is the debut single from their forthcoming album Barriers. The video features the recently revealed members Frank Iero, longtime friend Evan Nestor, former Murder By Death bassist Matt Armstrong, multi-instrumentalist Kayleigh Goldsworthy from Dave Hause And The Mermaid and Thursday’s Tucker Rule on drums. Directed by Steve Pedulla, the music video is set in a sea of vibrant color and trippy backgrounds. You can watch the video for “Young And Doomed” below. Frank Iero originally teased the music video on his Instagram last evening, just minutes before the song was made available everywhere (at least on the East Coast). The song originally premiered on BBC Radio 1’s Future Sounds with Annie Mac yesterday. Additionally, Iero shared the lyrics to the song in an Instagram post so fans could follow along. However, one line in particular raised fans’ attention. Barriers will be out May 31 via UNFD. You can preorder your copy it it here. Frank Iero And The Future Violents will support Taking Back Sunday on their 20 tour starting Monday, March 25. 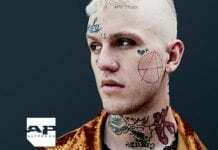 The band will also be appearing at the in New Jersey stop on Warped Tour’s 25th Anniversary run. Check out a full list of dates below and grab tickets here. 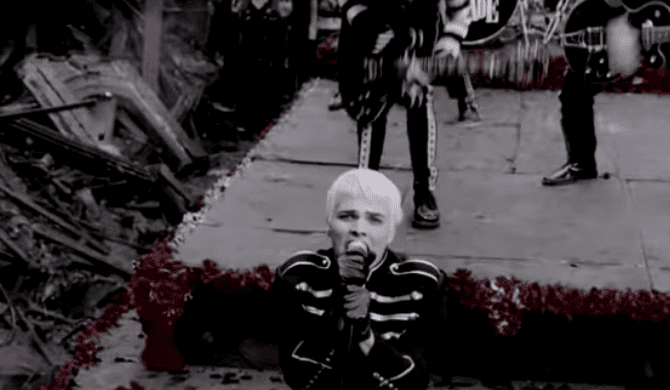 What do you think of the new Frank Iero And The Future Violence video? Let us know in the comments below.